Microdata vocabularies provide the semantics, or meaning of an Item. 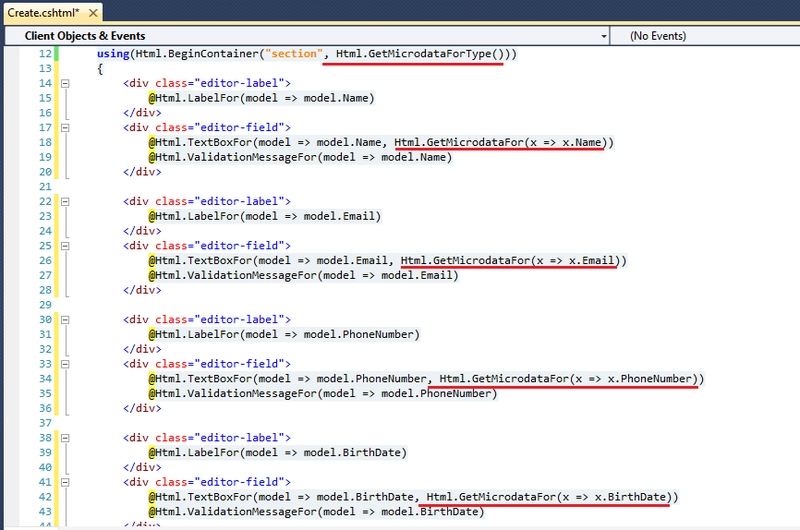 You can use Metadata Providers to add microdata to your ASP.NET MVC applications. I’ve been reading lately some stuff about HTML5 , and one of the things that I really liked was microdata. I’ve been googling and I was surprised that I almost couldn’t find any information about how to use it in ASP.NET, that’s why I’ve decided to write this article. The HTML5 microdata specification is a way to label content to describe a specific type of information—for example, reviews, person information, or events. Each information type describes a specific type of item, such as a person, and event, or a review. For example, an event has the properties venue, starting time, name, and category. 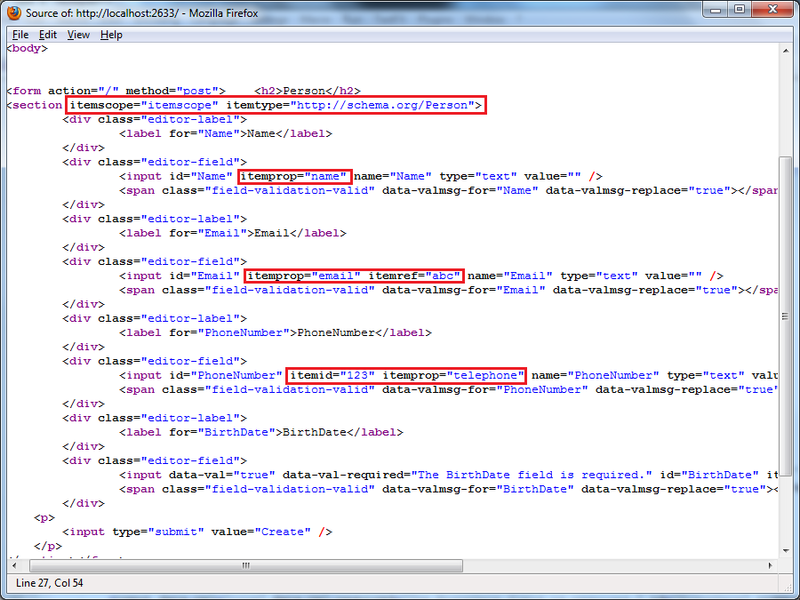 HTML5 Microdata: Why isn’t anyone talking about it? 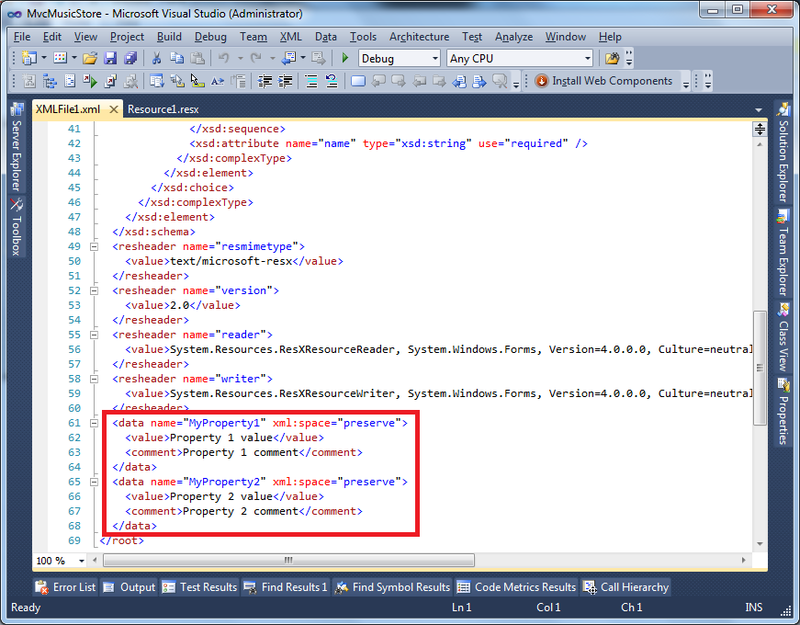 This attribute is used to “decorate” model properties with microdata. It can be used directly in the model properties, or it can be used in a MetadataType class, exactly the same way that DataAnnotations are used. I decided to create a custom Model Metadata Provider that inherits from DataAnnotationsModelMetadataProvider, because I wanted to use my provider in a similar way. 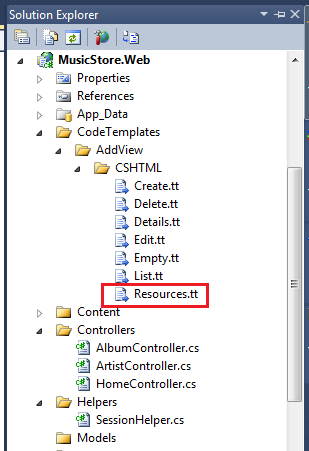 string key = string.IsNullOrEmpty(propertyName) ? RouteValueDictionary values = metadata.AdditionalValues.Any(x => x.Key == propertyName) ? Feel free to download the demo projet.